B.Y.O.D. - Yes or No? At Thom Collegitate, students are allowed to bring their own devices to use in the classroom. These powerful tools allow students to extend their learning beyond the classroom. Planning to use these devices as learning tools can be challenging as not all students have a device, or it may not be a device that enables students to browse the web, etc. Exploring how to best make use of these devices is one of my goals this year, as the fact that most students in my classroom are carrying some sort of smart device in their pocket, it is a tool I can't ignore. Recently I was asked by CBC English and French TV if they could come into my classroom and see how I integrate technology into my classroom to engage and extend student learning. I decided to demonstrate one way to use student devices to engage students in a class discussion by using Poll Everywhere. During this class, my Grade 9 students were working on their understanding of world view and were responding to and discussing a number of questions of self-reflection that I needed them to consider before we could explore other civilizations around the world. Recently, I had the opportunity to be interviewed by City Slicker Magazine for a feature that they were doing on Regina teachers, as part of their Back To School themed issue. It was a real honour to appear in this issue, along with some of the other fantastic teachers we have in our city. You can read more about it here on the Regina Public Schools' news blog. I have now official completed my first week of school as high school teacher. Wow! Is my life different, or has really changed immensely from this time last year. I am now a secondary school French Immersion educator at Thom Collegiate with an interesting teaching load full of content heavy classes. This year, I will be teaching, History, Social Studies, Francophonie, Science and Visual Arts to students in grades 9-12. The joy of teaching in French is that you always get a hodgepodge of subjects to teach. This should be interesting! As I leap into this new role with both feet, I know I have a lot to learn and a lot to discover. But just like my students, I like to learn hands-on and I like to get my hands dirty with learning. My challenges will be many, but I have never been scared off of a new adventure. It just means I get to work with new material, new curriculum and bigger kids. So far, my first experience with Thom Collegiate has been overwhelming but wonderful all at the same time. Most staff are friendly and very welcoming. My students are bigger, but really just bigger boddies filling the desks in my classroom waiting to learn something new. This year, I want to not only focus on new curriculum and content, but I want to focus on how to make my secondary classroom an inquiry driven, project-based environment, supported through integrated technology whenever possible. Is this possible in content heavy high school classes? I guess I will find out! My goals include an effort to make my lessons more engaging and relevant to students, by not allowing them to be simply be direct-teacher instruction, but to eventually build the learning environment necessary that allows for student-directed learning to dominate my classroom. I want to experiment with Project Based Learning and engage my students through inquiry journeys of discovery. I also want to explore new ways to allow students to incorporate their hand held devices into my planned learning activities. Here's hoping a content heavy load of curriculum can still be taught through project based learning! I wish all of my fellow teachers the best of luck as they embark on a new school year. Back to School Tech - What do you really need? The evenings are a bit cooler, the leaves are starting to change colours and there are aisles full of school supplies at your favourite store. It must be fall! Time to get back into routine and return back to school. If you listen to all the ads and news stories out there about "Back to School", you might think that it means parents should be forking over hundreds of dollars to get their kids ready to return to the classroom. This time of year can be expensive, especially considering after-school activities are also asking for registration fees and may require new or special equipment in order to participate. But what does your child really need to go back to school? As an educator who is passionate about integrating technology into the classroom, you are probably expecting me to encourage you to buy your child the latest and greatest technological gadget. Or maybe say, "forget the notepaper and pens, an iPad is where it is at!" But the more I think about it, the less I think is required for students to be ready for a new school year. Yes, buying new things helps get kids excited about starting back to school, but do you really need to spend hundreds of dollars every fall? It is important to think about your child and what their needs really are before hitting the mall or clicking on a favourite shopping website. When it comes to technology, more thought needs to be put into what you already have as a family and what your child really needs to help them learn. Does your child need the latest and greatest tech toy out there? 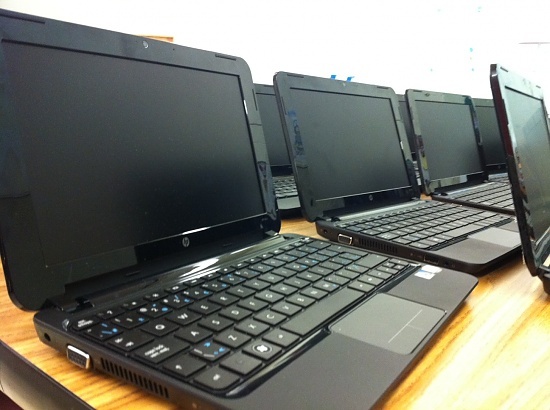 Is the laptop you bought last year still meet the needs of your teen in high school? Ideally, every school would have adequate funding to ensure that every child be provided with the computer and/or device that is appropriate for their age and grade level. Unfortunately, schools don't have the means to provide these tech tools to the degree they would like to. That means sharing limited devices and computers and having limited opportunities to learn in a technology supported environment. This doesn't mean that you need to run out and buy your child a laptop, smartphone and iPad for them to be successful in school. You need to decide what your child's school allows them to use in the classroom (is it a school that allows access to their wireless network and encourages them to bring their own devices). You need to also consider the maturity of your child and the added responsibility you are putting on them by making them responsible for an expensive device. You also need to ensure that your child understands your expectations when it comes to technology access and what responsibilities come with this access. Digital citizenship can be taught at school but also needs to be reinforced at home through honest conversations and monitoring of your child's online activities. They are building a digital legacy that can follow them their entire lives. Lastly, I believe that the best thing you can do to support your child in school is to develop a good working relationship with their teacher(s) by ensuring that you have open and honest communications. Your child should know and understand what technology they have available to them at home so that they can discuss problems with their teacher if homework is assigned that they can't do at home, such as lack of internet access or limited computer access. That way, the teacher can discuss these issues with your child and help support them at school to ensure they have access to the technology they require to complete assignments.